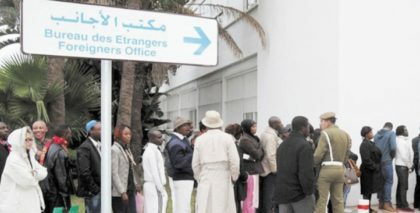 Morocco granted residency permits to 14,000 out of 28,000 applicants as part of the second phase of a migrant regularization campaign that lasted from December 2016 to December 2017. The softening of the regularization requirements was taken upon Royal instruction with the aim to help the remaining 15,000 applicants to have access to employment, social housing as well as basic services including education and health. Failed applicants could thus have another chance of gaining a residency permit in Morocco. In 2014, Morocco adopted a set of measures in favor of the aliens and launched a large-scale regularization operation that enabled some 25,000 migrants to get residence and work permits. These migrants, mostly from Sub-Saharan Africa but also from Syria and other war-torn countries came to Morocco in the hope to reach Europe, but ended up staying in the North African Kingdom. “As part of the implementation of this policy, my country has, without any arrogance, pomposity or discrimination, regularized the situation of migrants using fair and reasonable standards. It has provided the conditions needed for migrants to reside, work and lead a dignified life within our community,” King Mohammed VI had pointed out in a speech.